When will be Postman Pat: Special Delivery Service next episode air date? Is Postman Pat: Special Delivery Service renewed or cancelled? Where to countdown Postman Pat: Special Delivery Service air dates? Is Postman Pat: Special Delivery Service worth watching? Join Pat and his cat Jess and help deliver the mail in Greendale. It's Wild West Day in Greendale and Pat has to deliver a bronco ride. Pat has to bring the famous pop star, Brad Lee to his concert. Pat has to collect the Duchess of Pencaster to present P.C. Selby with his award for Best Local Policeman of the Year. It's snowing in Greendale and Pat has a challenge on his hands to get a real astronaut's spacesuit to Lauren's special Space Day. 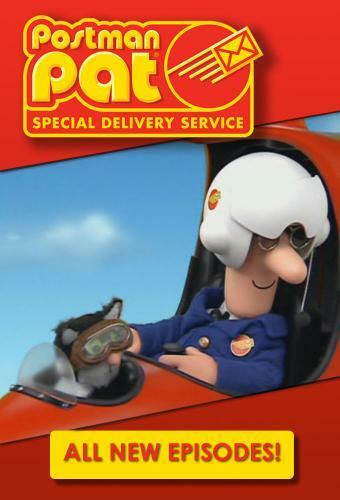 Postman Pat: Special Delivery Service next episode air date provides TVMaze for you. EpisoDate.com is your TV show guide to Countdown Postman Pat: Special Delivery Service Episode Air Dates and to stay in touch with Postman Pat: Special Delivery Service next episode Air Date and your others favorite TV Shows. Add the shows you like to a "Watchlist" and let the site take it from there.